Foundation textures have improved so much in the last few years that it seems like it's not enough for them to simply provide coverage and a skin-like finish. A foundation that merits the term "outstanding" now needs to encompass some sort of significant skincare benefit. 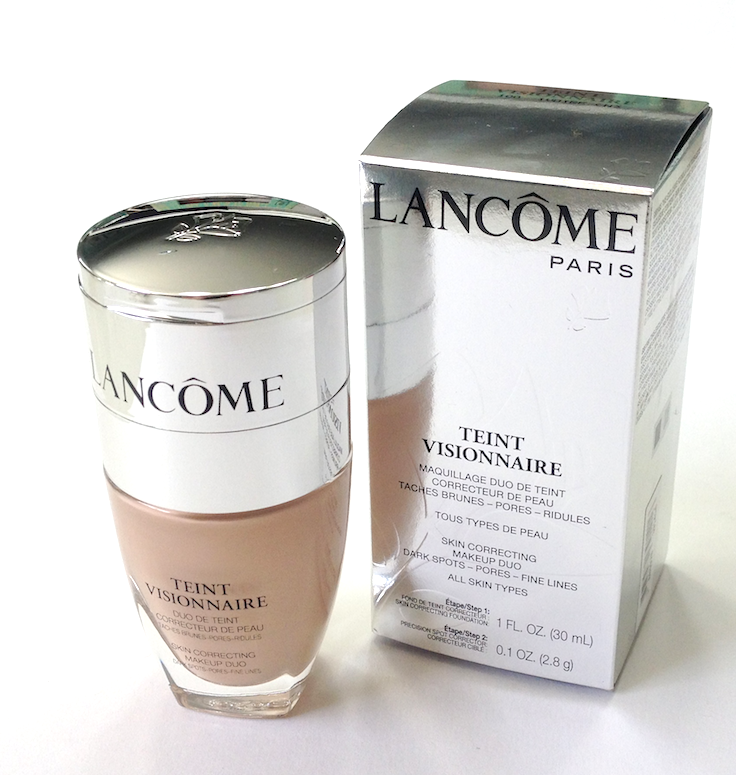 After testing the Lancôme Teint Visionnaire Skin Correcting Makeup Duo this past week, I think it's safe to say that it falls into that "outstanding" category. I don't know how they calculate the percentages so precisely, and since I don't possess a Data-esque capacity for measuring volume and depth through the sheer power of my eyeballs, my impressions are a bit more vague. 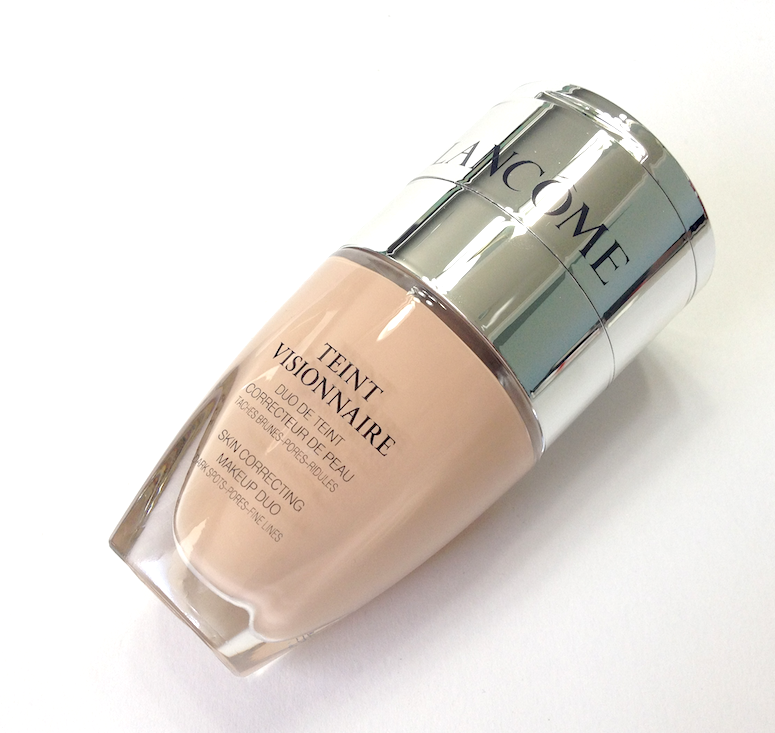 I will say that I observed a definite difference in my skin as I wore this foundation. 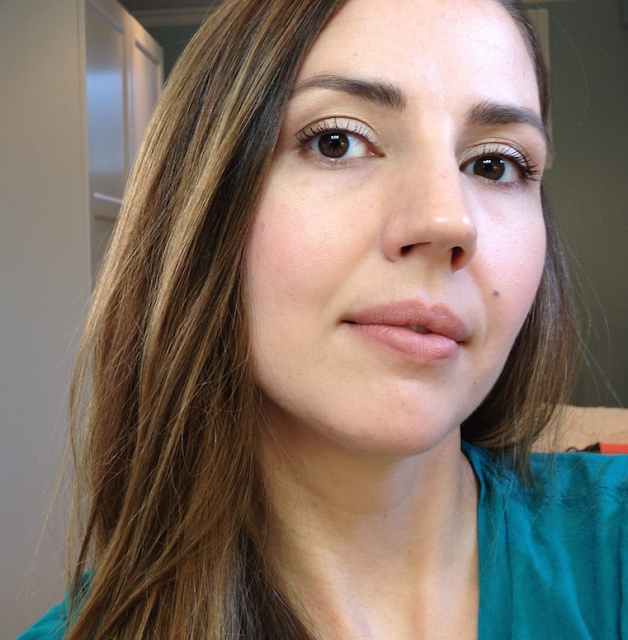 Not only did my skin appear particularly smooth, luminous and virtually pore-less upon application, but it actually looked better at the end of the day, when I took my makeup off. A touch softer and more refined. It's a rare foundation that accomplishes that! The texture is lightweight and quite liquid, almost watery, and needs to be shaken up prior to application. If you've used Chanel Vitalumiere Aqua or Urban Decay Naked Skin Foundation, you have an idea of the kind of texture I mean. It looks superbly natural on the skin, and has light-to-medium coverage depending on your application method. 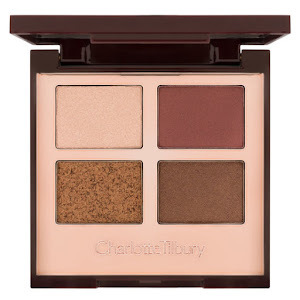 It applies well with fingers, foundation brushes and a Beauty Blender, though my favourite is the Beauty Blender for the most natural finish. 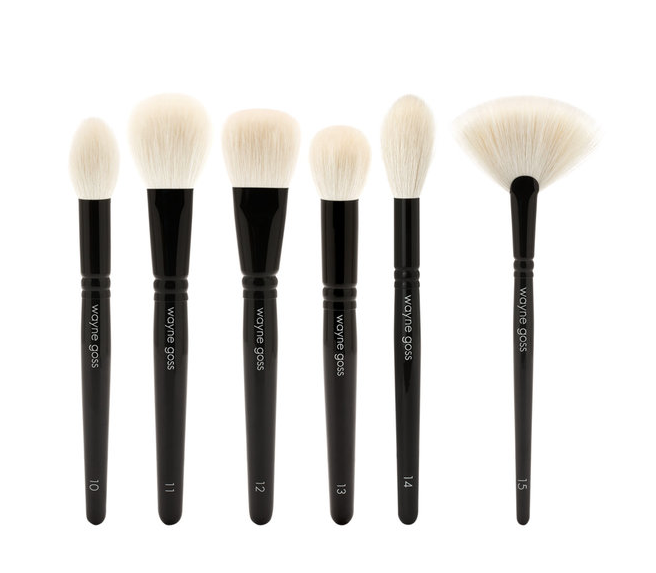 A traditional foundation brush will provide the most coverage. I had no issues with it picking up over dry spots. My skin really looked perfected, but not like a blank canvas. Problem-free, subtly illuminated, naturally healthy. In other words - my dream skin. This has easily hit the top of the list for my everyday foundation, though the lighter coverage means that I'll likely be reaching for something else on those days my skin needs more help. My only issue is the shade range. I had a hard time finding a match, with most of the lighter shades actually looking too dark or too warm. The best shade for me was the #100 Ivoire, which is the lightest shade. It's not perfect, as it is a tiny bit too light and too pink-toned, but the foundation is forgiving enough that it doesn't seem so apparent. I'm not all that fair, though, so paler complexions might not find a good match. On the plus side, the shade range extends farther into the deeper tones than many high-end foundation, so that is awesome! 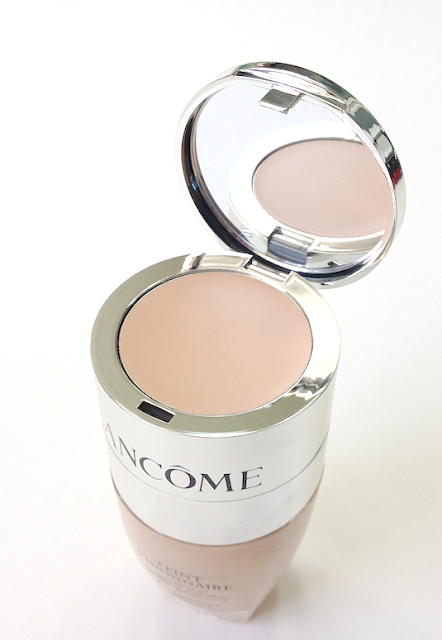 Since this is a Duo, it also comes with a matching cream concealer packaged in the lid, which is a clever feature. It boasts the same skincare benefits as the foundation. In terms of texture, it's a firm-packed cream concealer - finer, smoother, and less waxy than the MAC Studio Finish Concealer. It's neither emollient nor particularly dry, and the texture works well under the eyes (warmed up and applied with fingers, or swept on with a fluffy brush for a more diffused effect) or elsewhere on the face. 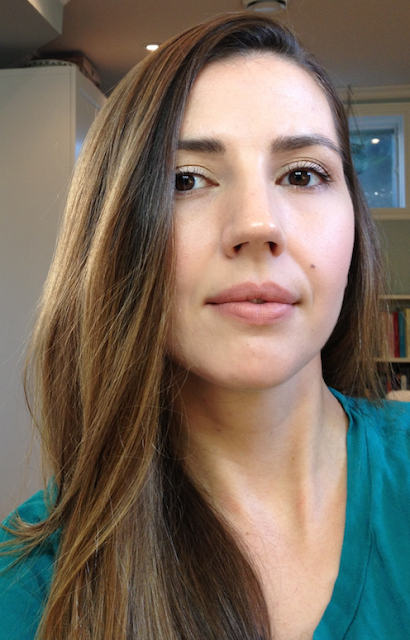 It's close to full coverage, but I think the particular shade is not the best for my skin coverage needs, as I need something a bit deeper and more peach-leaning to knock out the darkness under my eyes. 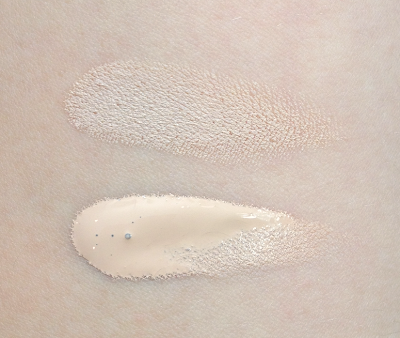 Concealer in top swatch, foundation in bottom swatch. In the arm swatch above, the match looks pretty good, but in the pictures below you can see that my face is ever so slightly lighter and less yellow than my neck and chest. Not a big deal, and I'm happy to add a drop of another foundation to get the exact right match if it means I get to have this awesome finish. Buxom Full-On Lip Stick in Sydney. So what do you think? Have you tried this foundation already? Do you like the idea of foundation doing double-duty as skincare, or do you prefer to keep the two things separate? 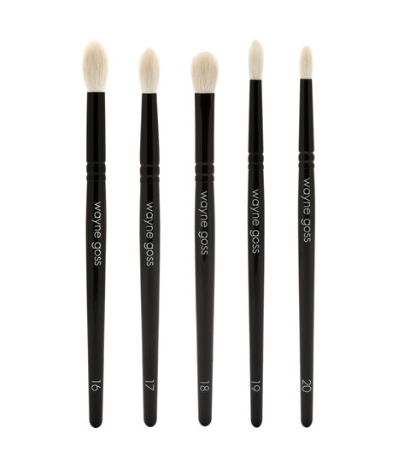 Pros: Lightweight texture, very natural, slightly luminous finish, excellent wear. Skin looks softer and more refined after wearing it. Concealer has a good texture to be used both under the eyes and over spots, with good, almost full, coverage. Cons: Colour matching may be difficult, especially for fairer complexions. This particular shade of concealer is not adequate for blue undereye circles. Awesome review, never tried this. You look amazing as always love your blog and videos. Hi, which Ivoire did you use? cool, neutral or warm? Thanks, great blog! It's the one without a specified undertone - Ivoire #100. The Ivoire N #140 probably had the best undertone for me, but was a little too dark.